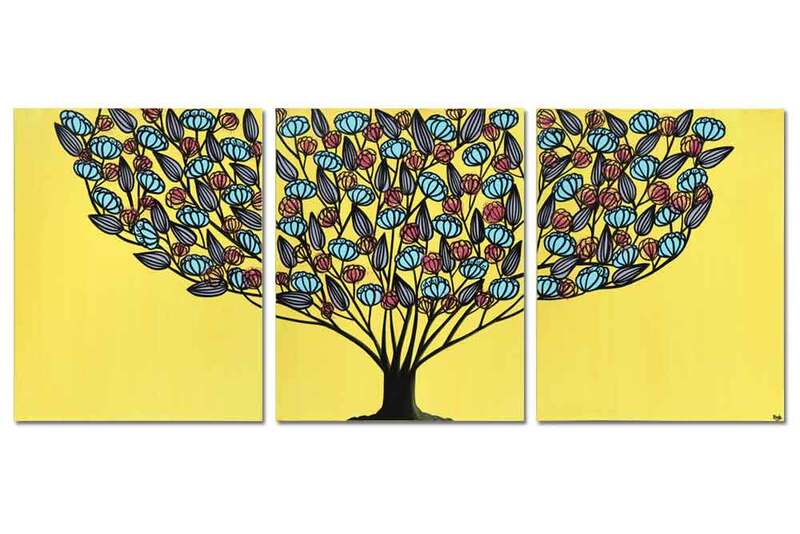 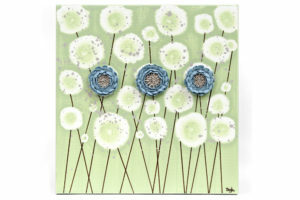 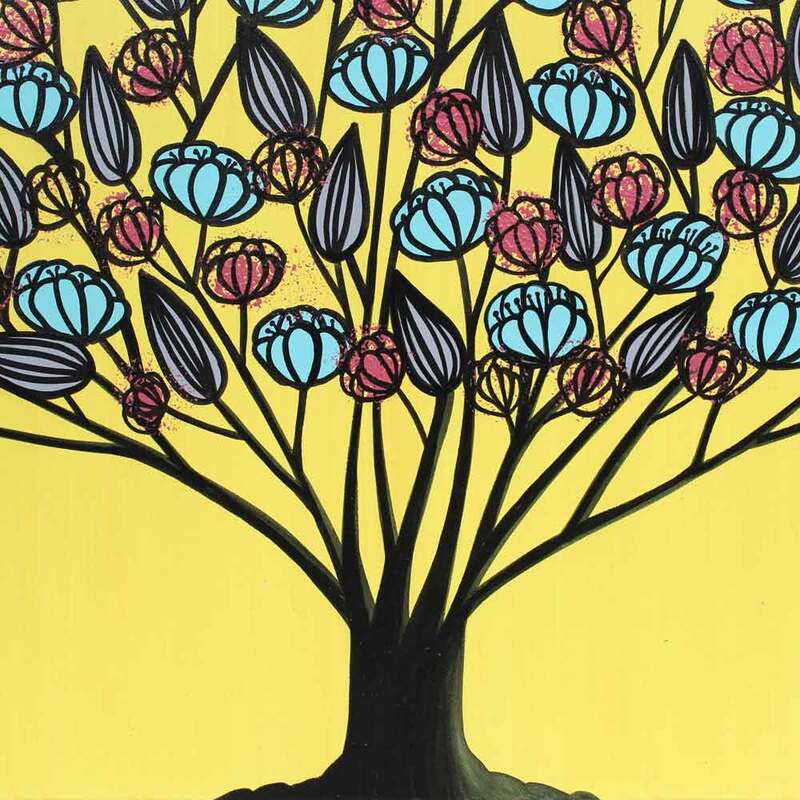 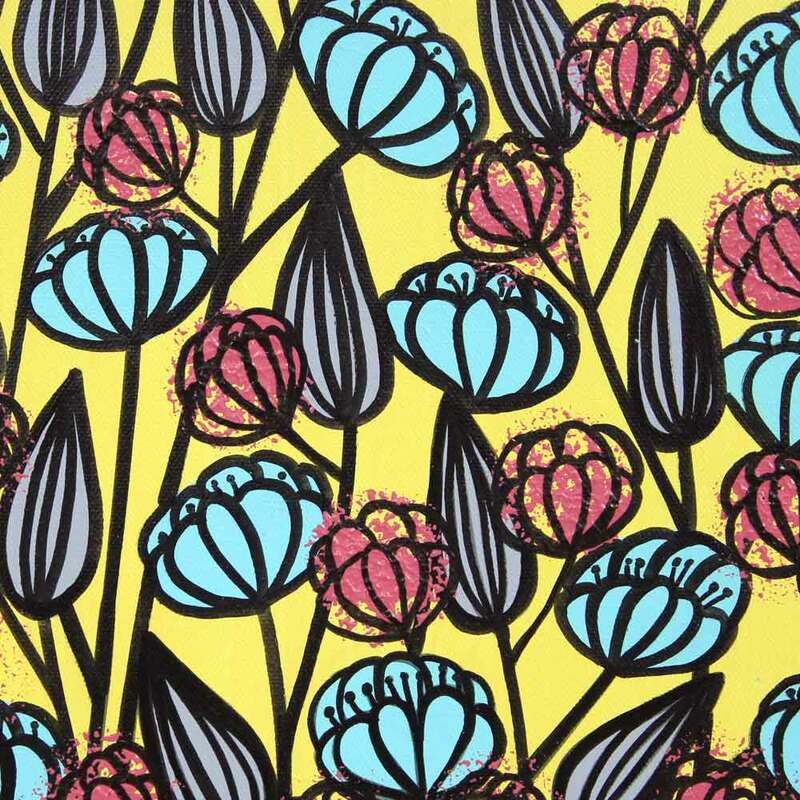 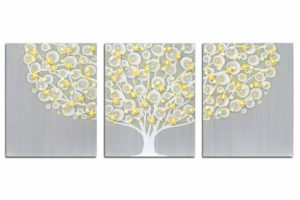 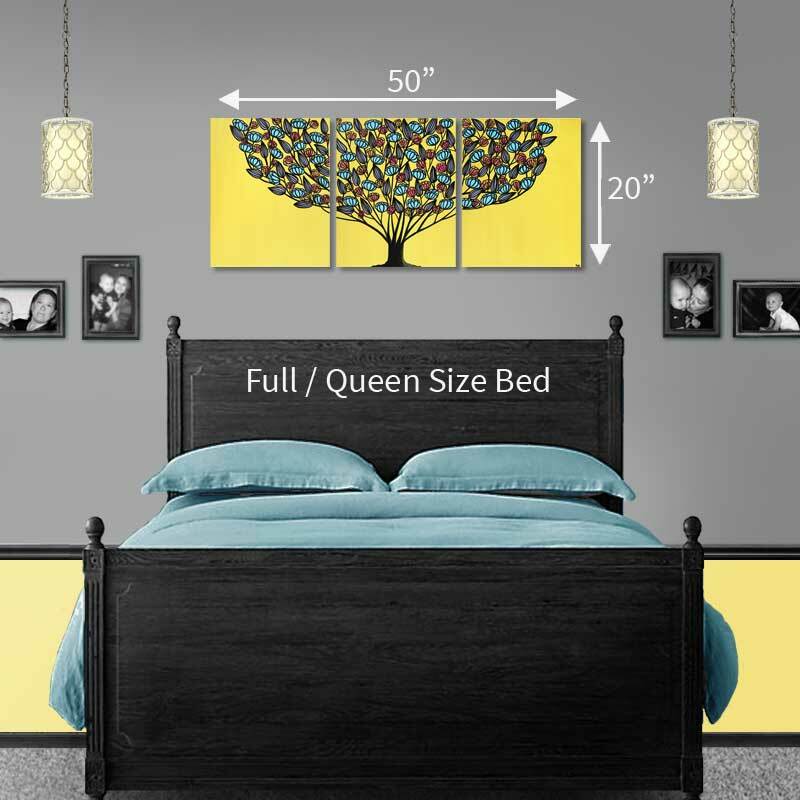 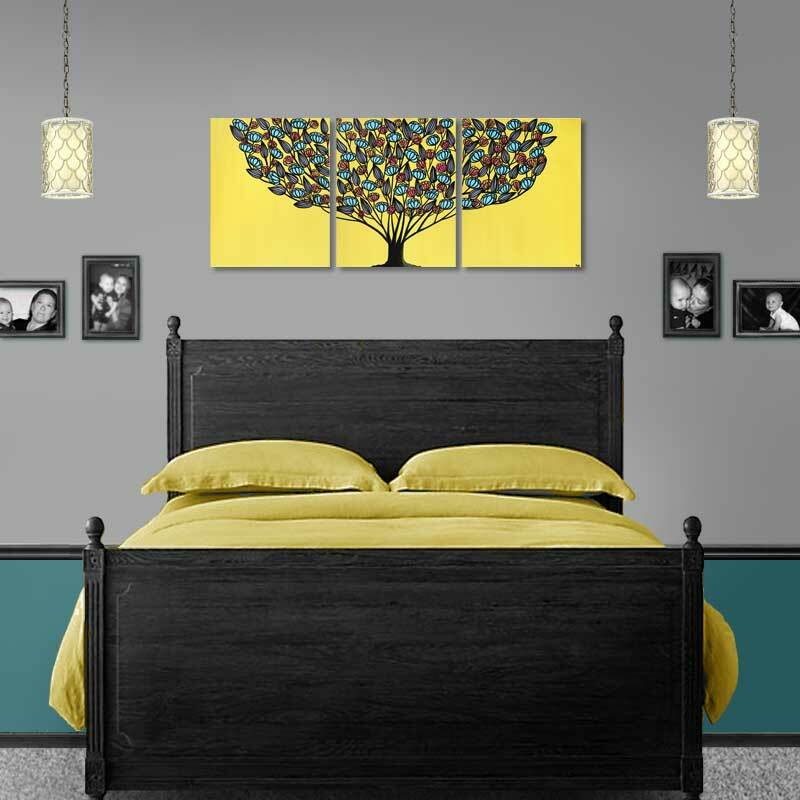 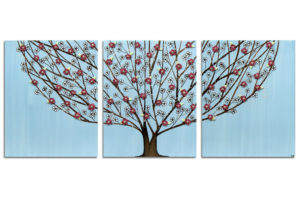 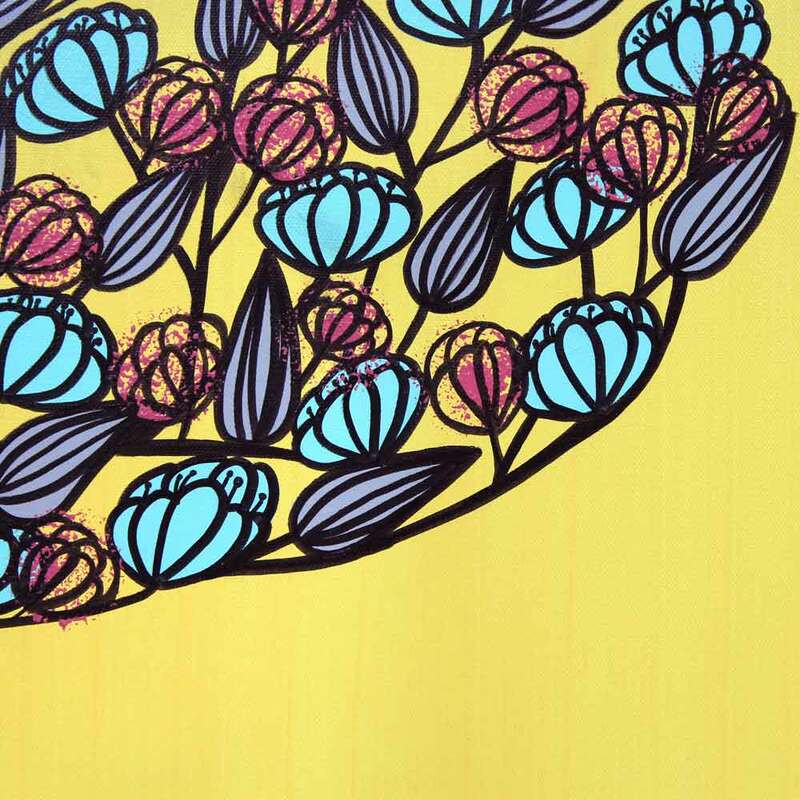 This sunny yellow wall art is hand-painted on three canvases that hang as a large triptych. 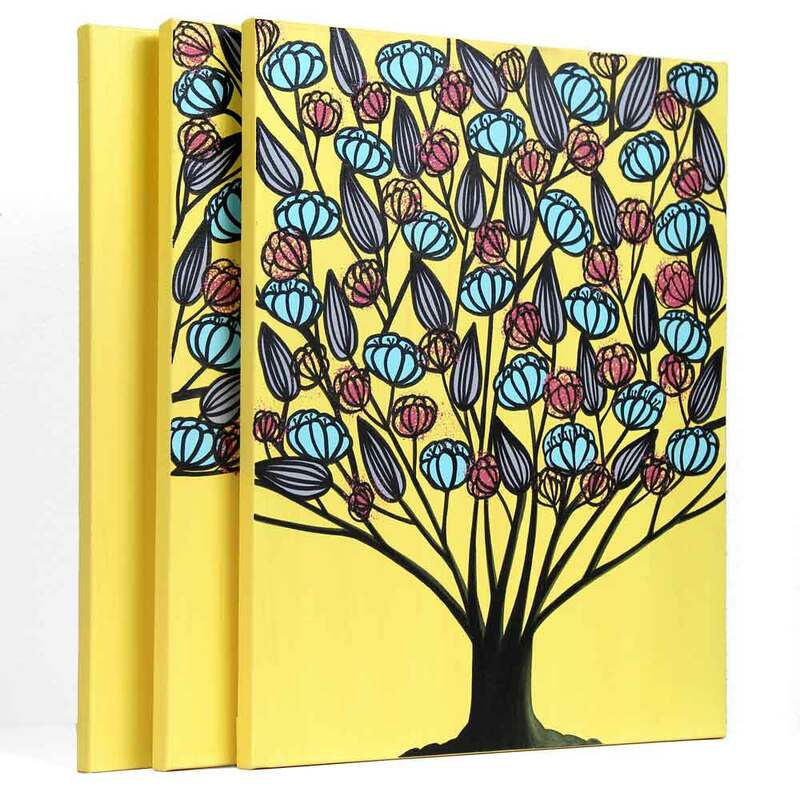 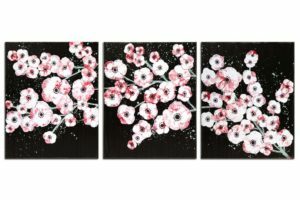 The flowering tree is hand-drawn in black India ink. 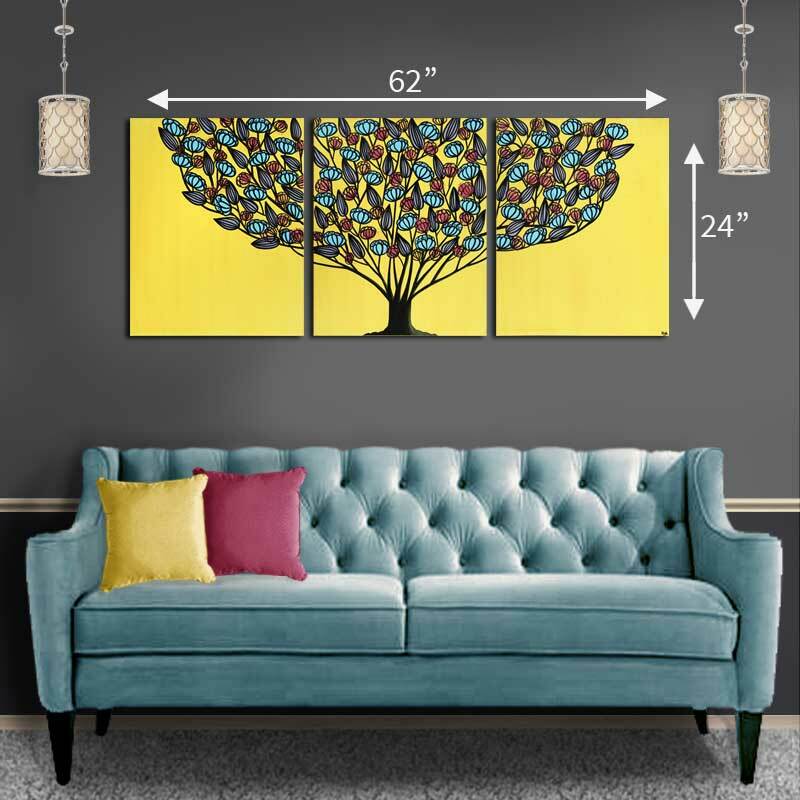 Coordinates well with black furniture finishes.